Obituary for Kathleen (Rudloff) DALLMER | C. R. Strunk Funeral Home, Inc.
Kathleen Dallmer, 72 of Quakertown, West Rockhill Township died Thursday August 16, 2018 in her home. She was the wife of John V. Dallmer. They celebrated their 53rd wedding anniversary last May. Born in Philadelphia she was the daughter of the late Leslie and Catherine (O’Malley) Rudloff. She was a receptionist for the former Shear Perfection now Golden Scissors Salon in Quakertown before her retirement. 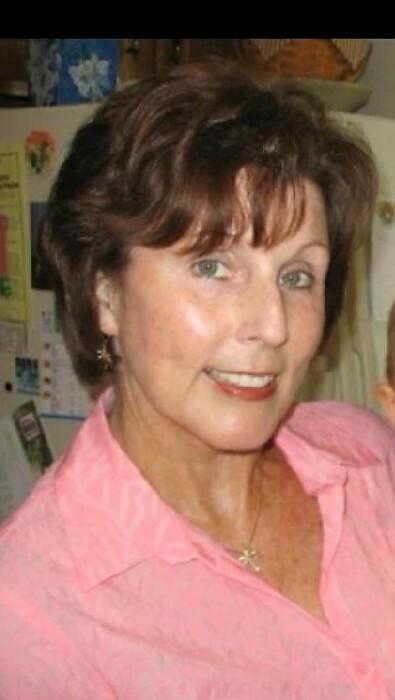 She was a member of St. Agnes Catholic Church in Sellersville. Kathleen loved traveling and spending time with her family. In addition to her husband she is survived by two daughters Colleen Ditro (Gerald) and Jennifer Hill (William). Two brothers Thomas (Debbi) and Dennis (Anne) and a sister Pauline. Five grandchildren Erin, Julia Rose, Aidan, Maura and Brady. She was predeceased by a son Christopher W. A mass will be held on Tuesday August 21st at 10:00 a.m. in St. Agnes Catholic Church 445 N. Main St. Sellersville PA 18960. Interment will follow in Holy Sepulchre Cemetery, 3301 W. Cheltenham Ave. Cheltenham PA. Calling hours will be held on Monday evening August 20th, from 7:00 p.m. to 8:30 p.m. in the C. R. Strunk Funeral Home, Inc. (www.crstrunk.com) 821 W. Broad St. Quakertown PA 18951 and on Tuesday from 9:00 a.m. to 9:45 a.m. at the church. In lieu of flowers the family prefers memorial contributions be made to the Ronald McDonald House of Delaware, 1901 Rockland Rd. Wilmington DE 19803 or online at (www.rmhde.org).